It’s always a worry when your little one is in the bath, one slip and they could bang their head on the tap! Well, that’s one less thing to worry about with the Safety 1st Inflatable Spout Protector. 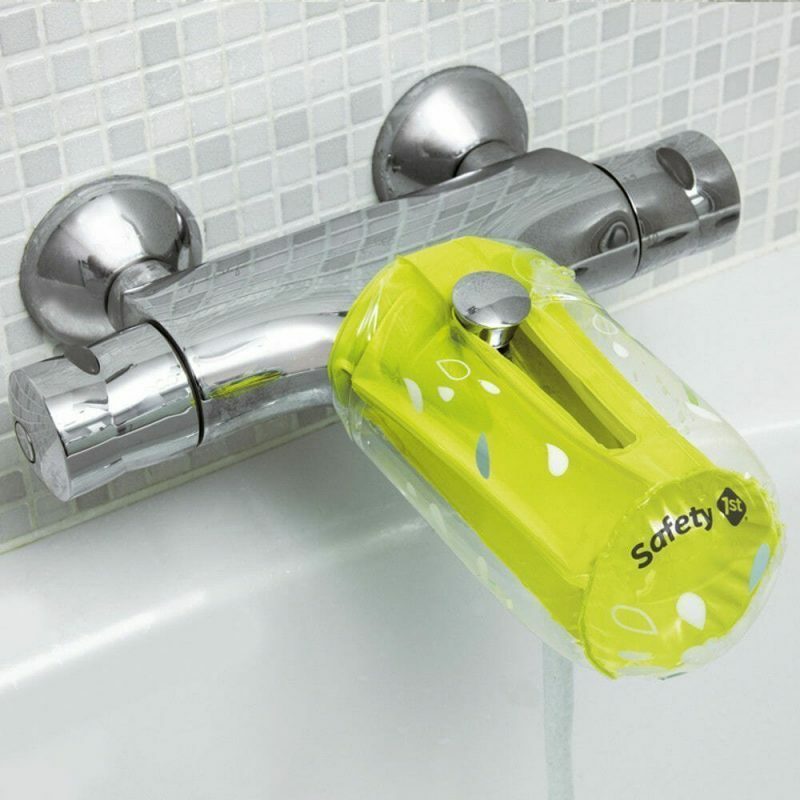 This handy and ingenious design can be inflated easily and slips over your mixer tap. It’s adjustable for a universal fit, with a hole for the water to pour our of below. The spout protector measures 24.5 x 14.2cm when inflated and comes in a stylish lime and white colour to compliment the safety first range.